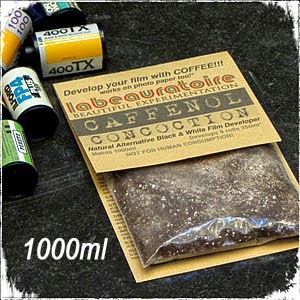 For those of you wanting to try Caffenol or Coffee Developer for black and white film, but do not want to track down all the ingredients, this is the product for you. Caffenol Concoction is a premixed packet of Caffenol that allows you to just add water and go. You're Welcome... Thanx for looking!